We want to give city people better access to outdoor adventure. Nature helps you to think on a high level and we believe that kind of thinking benefits us all. 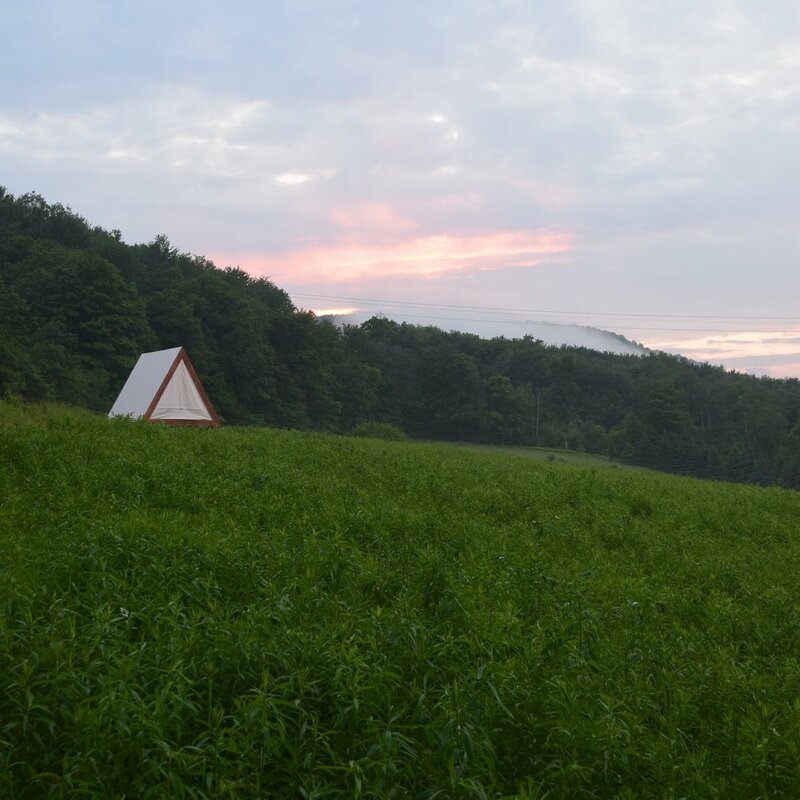 Secluded and fully stocked pop-up campsites within striking distance of big cities. We stay light on our feet and move every few months to help our campers discover new frontiers. Wherever we go, we always have the tents, the gear, and the outdoor pros on-site so you don't have to sweat the small stuff. People tell us "it's kinda like scouts for 'adults'" (but, to be honest, we don't know where the adults are). Caroline is Head of Design, an athlete, and a true Californian. After graduating from Columbia in Architecture & Sustainable Dev, she went back to her SF roots to work with and advise fledgling startups. You'll find her collecting plants, triathaloning, or sketching in the wild. Jaap is CEO, financial mastermind, and a mountaineer. He grew up canoeing and biking in Belgium, Europe and graduated with a Masters in Finance. Reading books, binging on Wikipedia articles, and peak bagging are his favorite pastimes. The real all-star of the team - she calls all the shots and keeps us on our toes. Her 4.5B years of experience complements the rest of the team quite well and has proven best engineer, designer, and architect of all time. She spends her days creating the ideal conditions for life as we know it.